You are here: Home / Guides / Why Choose Loose Leaf? 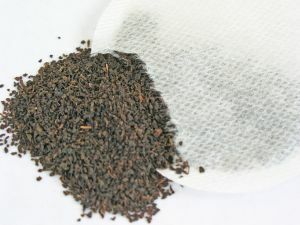 Tea can be loosely divided into two sectors, the commodity teas which are usually made via the CTC process and used for tea bags and speciality tea production which is usually orthodox loose leaf. This is what is inside a tea bag! for producers – think of the money involved, how much is a tea bag? You are looking at teas which sell for a very low kilo price, mass produced with a lot of mechanisation. Loose leaf teas are different, and while they may seem more expensive initially, many can be infused more than once. for the environment – less wasteful packaging. Have you ever tried to compost a teabag? even the biodegradable ones can take a long time to break down. Spent tea leaves can be composted or just added to the garden. for you – there are contaminants in tea bags, and health issues associated with the materials used to make tea bags, plus you get a better tasting beverage and an experience, better taste and a more enjoyable drinking experience.